Kawasaki Ninja ZX 10R price in Jaipur starts from Rs. 14.30 lakh (Ex-showroom). 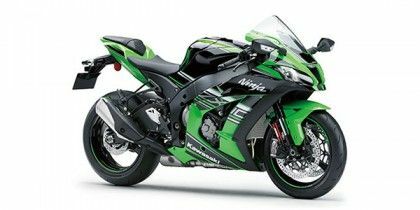 Ninja ZX 10R is available in only 1 variant. Kawasaki Ninja ZX 10R's top competitors are Suzuki Hayabusa (price starting at Rs. 13.73 lakh in Jaipur) and Yamaha YZF R1 (price starting at Rs. 19.67 lakh in Jaipur). Q. I want to know about usual service cost of Kawasaki Ninja ZX-10R.